Turkey has many beaches, lakes and springs, but Ölüdeniz offers a much different experience! Here, you will learn the true meaning of turquoise, enjoy serenity in untouched nature and bask in the shining sun at its beaches. As Ölüdeniz is a lagoon, the water is unbelievably calm; its name, Ölüdeniz (Dead Sea) refers to the stillness of the water. As well, the lagoon is supplied with groundwater thus leaving Ölüdeniz clean all the time. If you are considering a sea holiday in Turkey, do add Ölüdeniz in Fethiye, Muğla to your list. There’s a variety of beaches; some charge entrance fees, and some are free of charge. Especially on the inner side of the lagoon, beaches are magnificent. 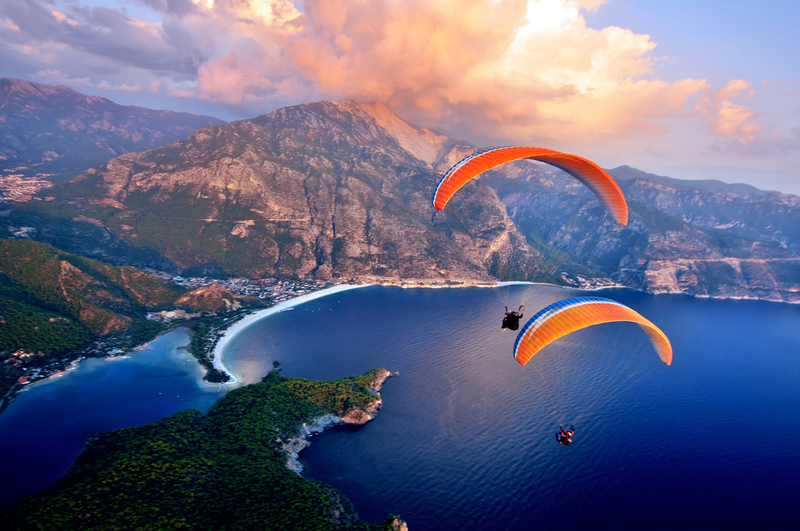 There are also plenty of adrenaline-filled activities such as paragliding: Paragliding in Ölüdeniz - which has one of the best paragliding facilities in Turkey - will deliver an entirely new perspective on life! Pegasus Airlines offers flights to Muğla, which is the city closest to Ölüdeniz. Click flights to Dalaman for inexpensive flights. The 14-kilometre trip from Fethiye to Ölüdeniz can be made via shuttles from the airport or public transportation. There are many boutique hotels, bed and breakfasts, serviced apartments, villas and hotels in Ölüdeniz.